We are only 7 weeks away from our 7th annual TL5K! 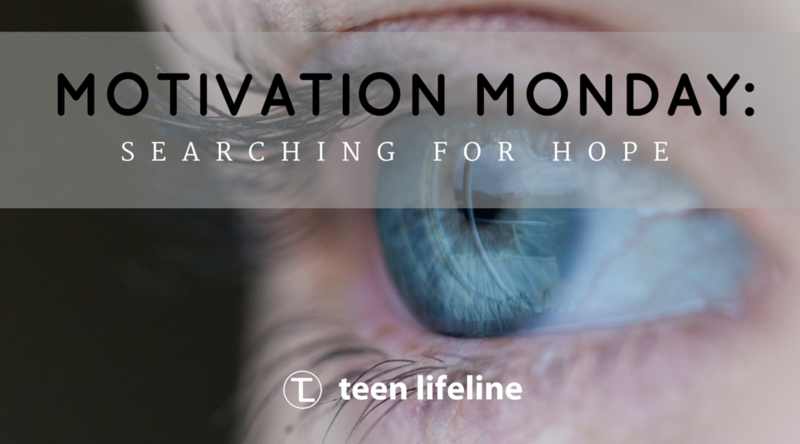 As we continue to share stories from our Teen Lifeline Support Groups, we hope that you are seeing the benefits that these groups bring to the students, school districts, campus counselors and the facilitators that lead these groups. We are so passionate about our #TL5K is because the funds raised by this one event help make these groups possible! We have the opportunity to continue to grow and reach teenagers with 100 volunteer facilitators trained to use our Life Lived Better Curriculum to lead support groups in their local school or church. One of my favorite things about working for Teen Lifeline is sharing group stories with these other facilitators, and this has been especially fun since my mother-in-law, Julee Duke, started leading groups this semester! I may be a little biased, but she is providing support and encouragement to students who need a listening ear and a chance to be heard and accepted. Her job, and the goal of all of our facilitators, is to equip, encourage and empower the students in their groups to live life better – to choose to live a better and different story. My name is Julee Duke, and I am leading my first Teen Lifeline group at a Middle School in Fort Worth ISD. I have nine 8th grade girls in my group, and although we are only halfway through the 8-week Support Group Curriculum, I have learned so much about these girls and their need for hope in their lives. The first week proved to be challenging with one girl not making eye contact with me or speaking a word, but slowly scooting her chair closer and closer until she was right beside me by the end of our time together. Since that first day, she is the first one in the room and the last one out, in hopes of having a one-on-one moment with me outside of the group. She is now looking at me, smiling and sharing difficult memories and joyous victories – HOPE! With this particular girl and the rest of the group, as the weeks have passed, hearts have softened. The girls are now fully engaged and look forward to our time together. It isn’t me or the snacks that I provide at the end that makes them want to come back – it’s that their deep desire to be heard and acknowledged is being met, some for the first time in their young lives. There have been tears shed, confessions made, and difficult stories shared. I am extremely thankful for this opportunity and am blessed to be a small part of encouraging young people that there is hope for a better life. In case you missed our last blog on hope, check out Chris Robey’s ideas on Helping Students Find Hope in Hopelessness. Julee Duke is a mom of 4 great kids, volunteers with the youth at Fielder Church, and has been leading a Teen Lifeline group in Fort Worth ISD since January 2016.